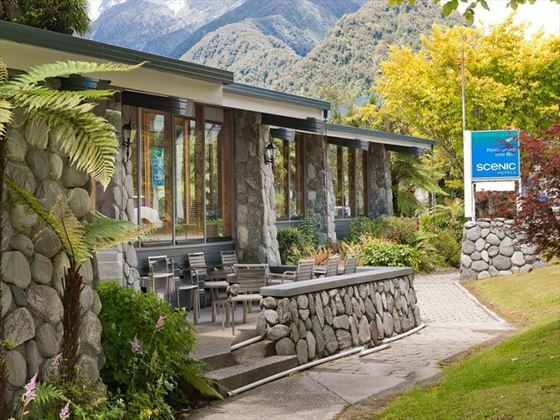 Nestled amongst amazing foliage along the edge of Westland World Heritage Park, Hotel Scenic Franz Josef Glacier offers a serene, peaceful stay close by to the phenomenal Franz Josef Glacier. 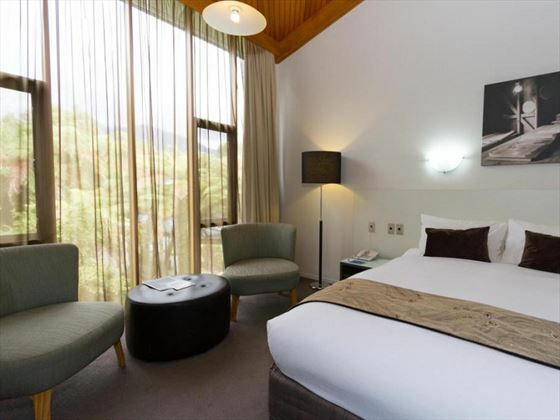 The rooms and suites here are minimalist and comfy, available in a variety of configurations and with gorgeous views of the surroundings. 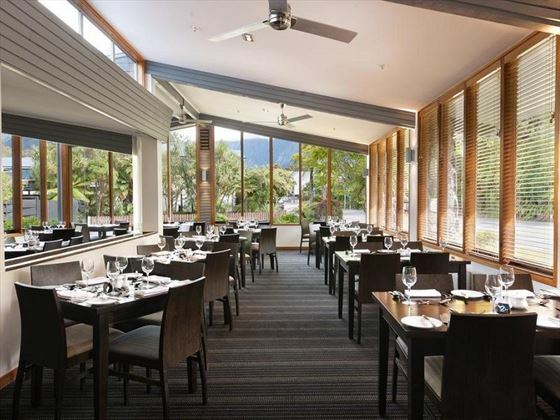 Venture out of your cosy hideout and have an ice-cold beer on The Moa Bar terrace, or wander down to Canavans Restaurant for deliciously hearty West Coast dishes. 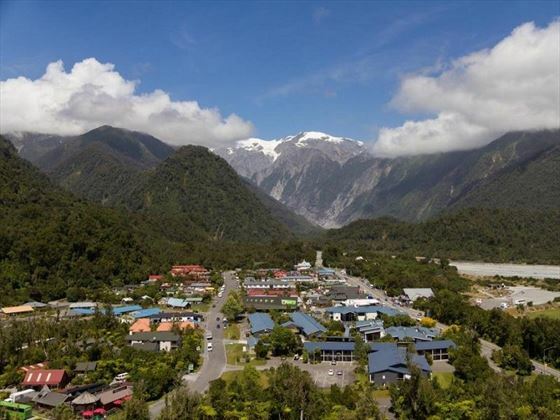 The hotel offers great proximity to the spectacular glacier, making it easy for you to explore the area or even take a beautiful scenic flight. 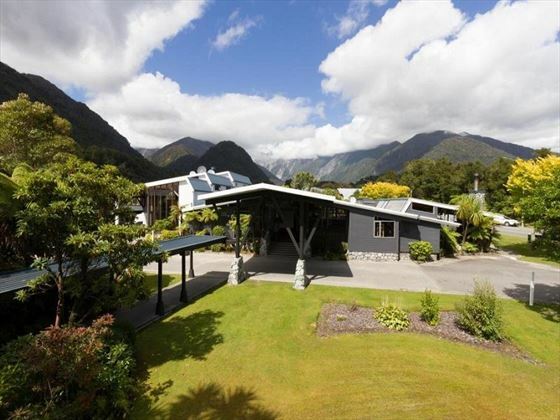 After that excitement, guests have access to nearby Te Waonui Forest Reatreat’s Amaia Luxury Spa, offering a plethora of revitalising treatments. 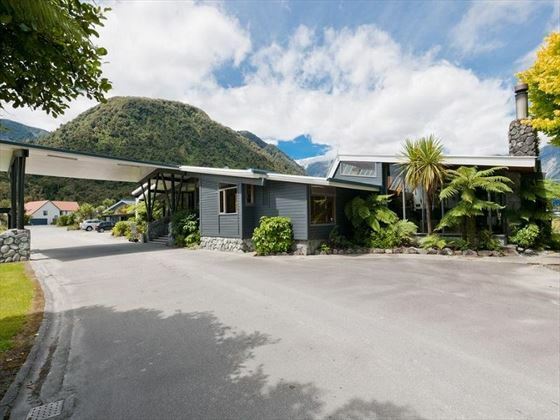 Resting on the edge of Westland World Heritage Park, this quaint hotel is located only a short distance from the Franz Josef Glacier, offering a secluded and tranquil spot. 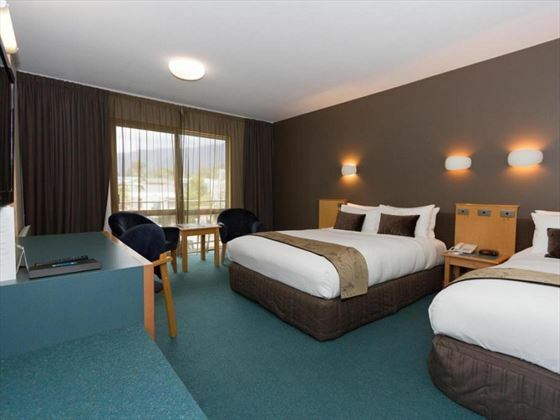 Standard Rooms – Classy 20sqm rooms featuring a queen bed and up to two single beds, or a three-single bed configuration. 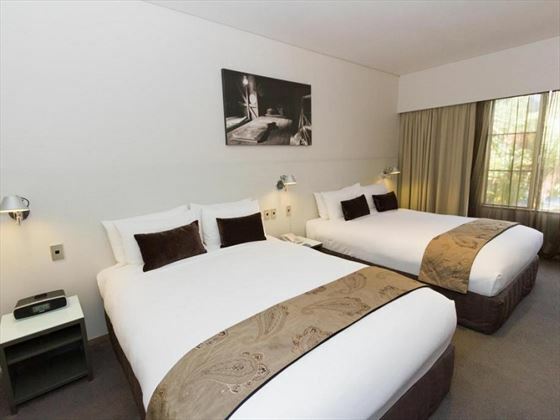 Superior Rooms – Slightly larger at 25sqm, these modern rooms feature the standard amenities. Configurations include: One king, one queen and one single, two queens, one king and one single, or three single beds. 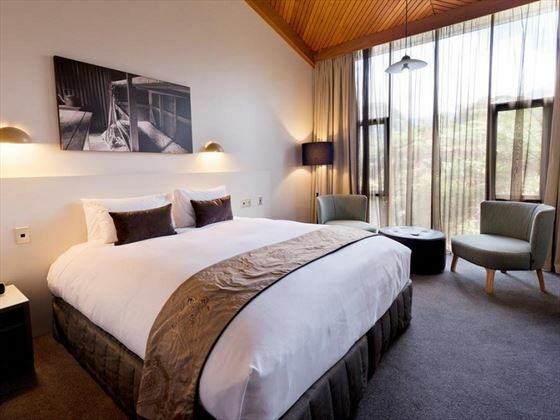 Superior Suites – Spacious 49sqm suites featuring a separate living area, plus two queen beds. They also have an additional minibar. 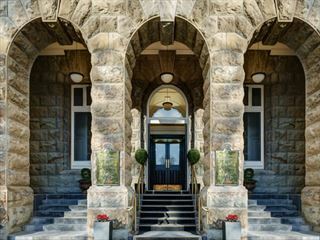 Canavans Restaurant – A stylish restaurant serving up hearty West Coast food, created with local ingredients and paired with a decadent glass of wine. Reservations are required. 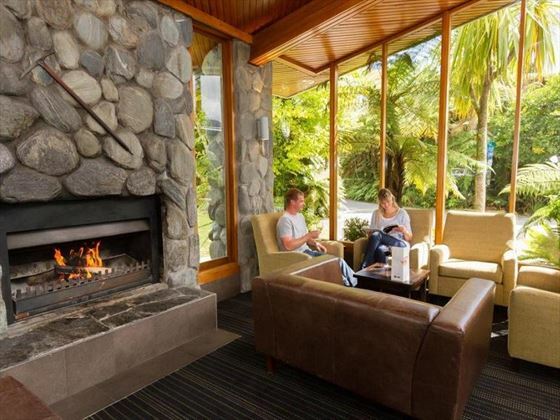 The Moa Bar - Named after the twin Moa statues that take pride of place in the hotel, this cosy bar offers the ideal spot to unwind by the fire with a coffee, or sit outside and enjoy the sunshine with a cold beer. Open from 4pm. 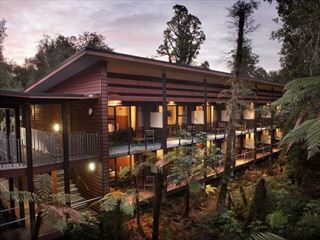 Rustic and charming, Te Waonui Forest Retreat is a tranquil oasis nestled within luxuriant rainforest near Franz Josef Glacier. 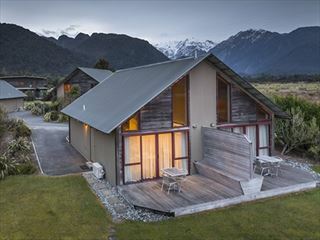 With a focus on environmental preservation and luxury comfort, this is a wonderful space to relax and take in New Zealand's natural beauty.